The summer of 1915 saw two changes that concern us in this history of Henry Norris and the Arsenal through these years. First, having ended the League season and played the FA Cup final, professional football had shut down. Eventually a new set of leagues appeared, but it took a while to get things sorted. Second, Henry Norris took very much a back seat in relation to both his clubs, Arsenal and Fulham. As an ex-military man, and as a public figure (as many of the Mayors of London were at the time) the state called upon him to support its policies – most particularly aiding recruitment to the volunteer army, as well as running and attending fund raising events. This he undertook as his public duty with vigour and initiative and as a result was made an officer in the army. Thus Norris left the running of the clubs pretty much to others – although as we shall see later in the series, at the end of the war he re-entered the fray with a vigour that most certainly must have taken many by surprise. 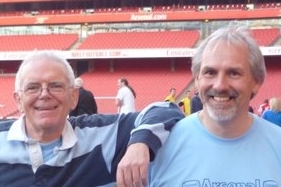 On 19 April Athletic News reported that Arsenal were £5000 in debt. Following this it did a survey of other club losses and accumulated debts as a result of the lower crowds in the 1914/15 season. Sally Davis quotes the 3 May edition as saying that “Sheffield United had made a loss of £2050 despite winning the FA Cup. Sheffield Wednesday had debts of £10,000 because of recent ground improvements. So yes, Arsenal were in trouble because the costs of building Highbury were still to be paid off. But there are two factors to hold in mind as well. First Arsenal were not alone in this matter of being in debt. And second, business debts were put on hold for the duration of the war, so no one could go to court to require repayment of a debt. The debt did not go away, but no repayments had to be made and no interest could be charged on the debt. Sheffield Wednesday did launch a share issue to try to raise some more money, but it failed. Share issues then as now, had to sell out by a required date, or else they were null and void; one could not put a load of new shares on offer and then have some of them remain unsold). Gradually, as the realisation sank in that the war was going to go on and on, changes began to occur in other walks of life. The planned local elections for the end of the year were cancelled, meaning that Norris and others like him stayed in post as elected officials and retained their new duties of keeping up public morale, fund raising and recruitment. Thus there were many public events that summer. Fulham for example held its annual week long flower show which Edith Norris, Henry’s wife, opened as the Lady Mayoress, a post that grew in importance in this regard as the mayor was more and more occupied with recruitment, morale and keeping services running. The Board of the Arsenal did hold meetings, but unfortunately as the minutes are not available I can’t say who was there and exactly when they were held. But we know that the board did formally approve the change of the name of the club (which had already happened the month before) to The Arsenal at a meeting on 10 May, and there must have been at least one more to approve Arsenal’s membership of the new London Combination, formed later in the summer. Two major events in the war occurred at this time. The first was the sinking of the ocean liner RMS Lusitania on 7 May by a u-boat off the south-west coast of Ireland, killing 1,198 civilians en route from New York to Liverpool. The story was censored and did not appear in the press. Also Germany had started to use poison gas – and again the story was censored. However rumours started to circulate and as these stories broke in mid-May anti-German demonstrations turned into riots which led to looting and the destruction of property. Worse (from the point of a view of a government that was hell-bent on maintaining secrecy and order), on 21 May various newspapers started to publish photographs of the chlorine attach by the Germans at Ypres (Britain did not retaliate with gas until September). The growth of public disturbances at this time, and the leaking out of censored news gave the government a major problem. As I’ve mentioned before, there was no conscription in 1915, following the view that dated back to the 19th century that fighting the Empire’s wars was the job of the professional army. However following attacks on coastal towns like Yarmouth there was a growing public perception that the enemy could indeed invade at any moment and so local Town Guards groups started to spring up spontaneously across the nation. These had no formal recognition, and thus no central command and no orders from on high, and this caused both government and local councils much concern. Keeping law and order at home was, in this war as in the second world war, an issue of major concern and importance to the government. After war had been declared in August 1914, there was a popular demand for a means of service for those men who were excluded from the army. Those for example over military age, or those with business or family commitments which made it difficult for them to volunteer for the armed services. The leaks of disasters like the Lusitania and the gas attacks did enormous damage to morale, not just because of the events themselves, but through the spread of the recognition that the public was not being told the whole truth. If those stories were being held back, what else was not being revealed? Were there German spies roaming the streets carrying mustard gas? Such feelings resulted in the spontaneous formation of illegal “town guards” and volunteer defence associations around the country, often organised by former army or Territorial Force officers now too old to serve. This caused much concern to the government as the feeling grew that some men who could and should be volunteering for the army were in fact not doing so because they felt they were performing a more valuable task by joining the Town Guard and protecting those still at home. So it was that in November 1914 a Central Association of Volunteer Training Corps had been formed by the government to oversee the movement as a whole and to try and ensure that the volunteers were not allocated weapons, although they could provide their own. Although these Volunteer Training Corps were to some degree made up of men excluded from signing up such as teachers, those who provided for widowed mothers, and those running small businesses, there were still many more who were eligible to sign up, but who rather liked a locally organised militia in which one could argue with a superior officer and not face a court martial. In 1915 the government tried to legislate for this muddle and bring the Volunteers into official recognition, but the bill ran out of time in Parliament, only for an alert parliamentary official to discover that the 1863 Volunteer Act was still on the statute, so the law had been there all the time for the government to take control. The Volunteer Regiments were finally formally recognised, and brought under control, in 1916. But already by May 1915 we have reports of Norris appealing locally for funds for the Fulham Volunteer Force, even though at this time it was (in formal thinking) but was not (in terms of historic statute) illegal. It is an early sign of Norris simply getting on and doing his own thing without referring to others. Athletic News reported that by the end of May all Arsenal players had found work (not difficult given the number of men who had now signed up) or joined the Footballers’ Battalion. However many of them did not find themselves in the front lines, as the army quickly realised it needed huge numbers of fit young men to work as physical training instructors, working to get men whose daily life in an office or whose drinking culture lifestyle made them anything but fit for service in life threatening situations. Meanwhile although there was strong censorship of the British press, this was only censorship in relation to military tactics and defeats. In this regard Lord Beaverbrook who owned the Times, the Mail and the Mirror became, in effect, the opposition, to the government, running his own virulent anti-German propaganda machine which some said did as much to start the war as the Kaiser. Beaverbrook had in fact used his newspapers to attack the notion of the 1914/15 season being played, and constantly invented stories about the failure of the season (I mentioned one earlier when a journalist from the Times went to an Arsenal reserve game, thinking the first team was playing). By the outbreak of war Beaverbrook was a major player in the issue of policy and public perception, controlling 40 per cent of the morning newspaper circulation in Britain, and 45 per cent of the evening circulation. Eventually he was given the government job of Director of Propaganda after he successfully attacked the government over a perceived lack of shells available for the army on the Western Front, and as a result the Liberal government of Asquith set up an all-party coalition for the duration. Then on the night of 31 May / 1 June Zeppelins appeared over London for the first time. Norris of course had his responsibility and he knew it, and so on 4 June he launched a new recruitment campaign in the West London and Fulham Times gathering men for the new 1177th (Fulham) Royal Field Artillery Brigade. In all Norris was responsible for raising three separate brigades in this way. Then in order to legitimise his position and to allow full time military men to understand the position of the man they were increasingly dealing with, on 5 June Henry Norris was given the rank of Lieutenant. Meanwhile back in the world of football, on 7 June the League opened their enquiry into the Manchester Utd 2 Liverpool 0 match. 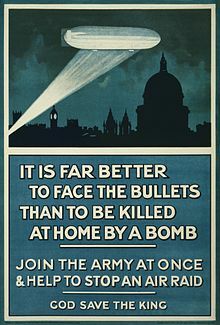 Undoubtedly the League hoped that this would be a little local difficulty that could be forgotten in time of war, not least because Norris was so clearly engaged in other matters and so was unlikely to be mentioning the way they had slapped him down when he reported the Liverpool affair of 1913. But the League had several setbacks. First, the betting companies were still refusing to pay out on the result, leaving a lot of punters very angry. Second, Lieutenant Norris, while hardly a major figure in the war effort was now an officer in the army, and that required an extra level of respect in wartime. And even if he was otherwise engaged that did not mean that he would not return to the 1913 affair at some stage. To rub matters in, three days after the League started considering match fixing, on 10 June the King and Queen Mary visited the Lord Roberts’ Memorial Workshops in Britannia Road, Fulham, where disabled soldiers disabled worked making children’s toys. One wonders who might have helped encourage a second royal visit to Fulham in such a short space of time. But however it happened, everyone would have noticed Fulham’s special treatment. And I think that is a good point. Henry Norris, without the sort of education normally associated with army officers, had achieved that position as well as being very wealthy, now seemingly had the ability to influence which part of London the royal family visited. One can imagine how he simply saw normal processes as just getting in the way. Army officers on the battle field made decisions; they didn’t go back to committee. And he was fighting for his country on the home front, raising battalions single handedly. Indeed by 30 June the 177th had recruited everyone it needed apart from the harder to find skilled metal workers who maintained the guns in the field. He was now asked to raise a second artillery brigade (and again forgot to tell the council, even though it was to be billeted in Fulham Town Hall). On the footballing front both Fulham and Arsenal should have had their AGMs in the summer, but there is no record of either taking place. The League however did hold their AGM on 3 July, but did little more than confirm that there would be no 1915/16 season which of course everyone knew. On 11 July the 177th Field Artillery Brigade led by the Harry Lauder Pipe Band marched through the streets of Fulham to a concert at the Shepherd’s Bush Empire. Injured soliders were brought along as heroes. Meanwhile football had been pretty much drifting due to inaction by both the FA and Football League, but eventually on 19 July both held their AGMs. At these separate meetings the League voted in favour of paying footballers, the FA against it, and the FA, as the superior body (or so it saw itself then) held sway. There would be no payment for playing in wartime – but there was at last a recognition that there ought to be some sort of arrangement for matches during wartime. And so, finally, the FA met with representatives of the League and the Southern League to agree how football in wartime would continue and it was quickly agreed that there would be no FA Cup, but there could be regional leagues. Two regional leagues were formed, one in the north west, one in the midlands – the two areas that had formed the original Football League. The situation in London was left as the London League which represented amateur clubs in the capital, and the still very powerful Southern League. This bizarre turn of events left London, the home counties, the south, the south west, and the north east all without any football. A factor that became a considerable talking point since the Scottish League had by then voted to continue with professional football. I suspect that part of the reason for giving the job of running London football to an amateur football organisation, thus attempting to by-pass the clubs was a direct snub to the increasingly powerful Henry Norris. But if that were the case, it failed miserably, because Norris and others immediately called a meeting on the evening of 26 July of members of the Football League and Southern League in the region (thus ignoring the London League who had officially been given the role by the Football League) to discuss keeping football running in and around the capital. A new league was formed and Henry Norris was elected chairman of … the London Combination – an independent league that would have no affiliation to the Football League. However to keep everyone onside Norris then invited The London League to run the show, which it was agreed was for clubs within 18 miles of Charing Cross (thus making sure that mere footballers were not taking up spaces in railway carriages). With local football sorted, Norris returned to the issues of the second brigade and by mid August it had its full complement and in mid-August he began recruiting the third brigade. By the third week in August fixture lists for clubs in the London Combination began to emerge and on the final Saturday of the month (28th) clubs were holding their pre-season practice games – most likely to be the traditional first team against the reserves (Probables v Possibles, Reds v Whites etc) matches. By this time a fourth league had emerged, the South West Combination, with clubs in the south and west following London’s lead in ignoring the Football League and simply getting on with matters itself.